Would people be interested in a January or February 2015 get together in the Florida keys? Not really interested in making this a business type event, but more of a pick a place and date, get together for a few day, eat , drink, and tell lies. People could stay for as long as they wanted, but the event would be for maybe three days. Each boat would be responsible for their own itinerary and handle their own financial obligations. Maybe make it somewhere close to a few hotels so those that could't bring there boats could still participate. Simply, we pick a date, a place, and everybody makes their own plans, reservations and handles their own finances. I'm in for the Canaveral area...just don't have enough time to get to the keys and enjoy it.....maybe combine it with a rocket launch if they have one. Had friends over from Tampa Thursday night for a launch and they loved it. Ted, provided we don't take the boat out of South Florida, we would have an interest. Pretty windy in the Keys at that time. 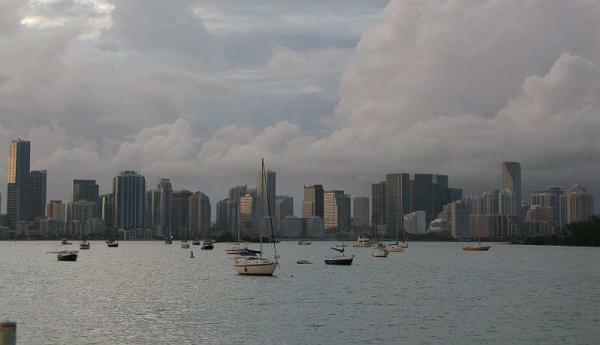 Maybe even consider Biscayne Bay. Being on the East Coast, we could do either. I think it sounds like a great idea, and we'd love it! Probably just take the KWE our of FMY if we don't have a boat by then. Either way, we love the keys so please count us in. That might work for us. Our plan was to embark on the Loop in early March, but an early run to the Keys might work. We ought to gather the members we can for a group cruise down the coast. We are leaving Lake Erie for points south (as in Florida) in early September. Since we have no place to go and nothing to do we could drop by. Certainty is something of interest. If my wife's health holds up, would enjoy it. Agree with Don, windy in the keys during that time frame. East coast as well so it works. We're thinking of doing a rendezvous and regatta in February 2015 or 2016. It would be the perfect thing for many trawler owners. The rendezvous would be in Clearwater, FL with an interesting regatta following - an overnight passage from Clearwater to Panama City. We've spoken to town officials and multiple facilities in both locations. They'll make the space available. The rendezvous would be about safety, overnight passages, women's piloting, and some geeky stuff. It would be a fantastic way to get some overnight experience and find ways to extend the areas you can cruise. Once in Panama City, it's easy, inside passages to great towns and beaches through the Gulf Coast to the New Orleans area (where we have other facilities who will gladly host a gaggle of boaters). Running all the way to Texas is possible too. Returns to the west coast of Florida would happen between March and April depending on how fast you needed to get back. A month of cruising is a good amount for the Gulf Coast. We think that cruising trawlers and sailboats will be the most obvious candidates for it. It's about a 220 nm crossing which takes about 30 hours at 7.5 kts (24 + 6 hours). All the facilities in Clearwater understand that weather issues could significantly delay departure and will work with everyone. There are also some very large anchorage areas in Clearwater. We'll be writing more about it in our newsletter next week including an online survey of about 4 questions. I am all for the Florida Keys get together, in fact we are here waiting on you. The weather is beautiful an in the 70s today. I think the Active Captain idea is also a very attractive and deserves its own thread as it evolves. Please consider that. Meanwhile, back to the Keys Get-Together where I'd hope that Ted would bring the beer! The Keys or Biscayne Bay would be great for me. Timing might be a problem. I have to work in mid-February. That's when the Miami International Boat Show happens. Definitely interested in a Jan shindig in the Keys. Early Jan would work best for me as I’ll probably be in Boot Key Harbor (Marathon) by then. They (BKH) can usually handle quite a few boats, with ok marinas and hotels pretty close. I was there in the spring, so I don’t know how crowded it is in Jan/Feb. Key Biscayne would work too. The cut at marine stadium at Virginia Key is a pretty good anchorage with great views of Miami. Count us in in post-January. We pick up our boat mid-Jan in Ft Myers and head north to my wife's old stomping grounds at Longboat Key and then south to revisit my years at Marathon and Big Pine. What brand/model boat is this in your photo ? Looks to me like Cherubini. Don’t know what make it is. I’m pretty sure it had a steel hull though. I passed by it in the dinghy a couple of times a day for two weeks. Never did see the name of the maker on it. I really liked the white boat next to it, “Sea Horse”. I'm in boot key now. No room at the inn, 2-3 day wait for a mooring ball. It will be difficult to find space for that many boats during snowbird season. Ft. Pierce City Marina is adding about 100 more floating slips. They may not be filled by that time. 20 miles above Stuart directly on the ICW. Not in the Keys, but a pretty good place. I would have to move Moonstruck about 100 yards to be with you guys.